You must make reservations at least 5 minutes in advance of the time at Knight's Steakhouse - Downtown Ann Arbor. We are close to several large public parking structures, including: the Maynard Street Structure (1/2 block); Liberty Square Structure (1 block) and the Liberty Lane Structure (3 blocks). Maps for the structures can be found at www.a2dda.org. Street parking is also available on most streets around the restaurant. All parking is free on Sundays! We will work with you to create a catering menu to fit your individual needs and price range! Knight’s Downtown is the newest addition to the Knight family restaurants. 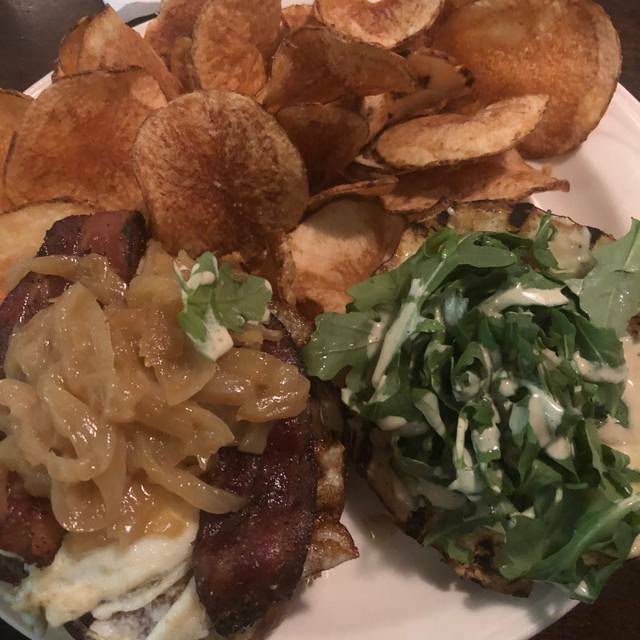 Located at the corner of Liberty and Maynard streets, Knight's is the perfect place to grab a delicious meal and a strong drink! Our philosophy is to provide our customers with unbelievable food, exceptional service and great drinks all at a great value. We only use the highest quality products available and our steaks and other offerings are cut fresh everyday by our butchers at Knight’s Market. 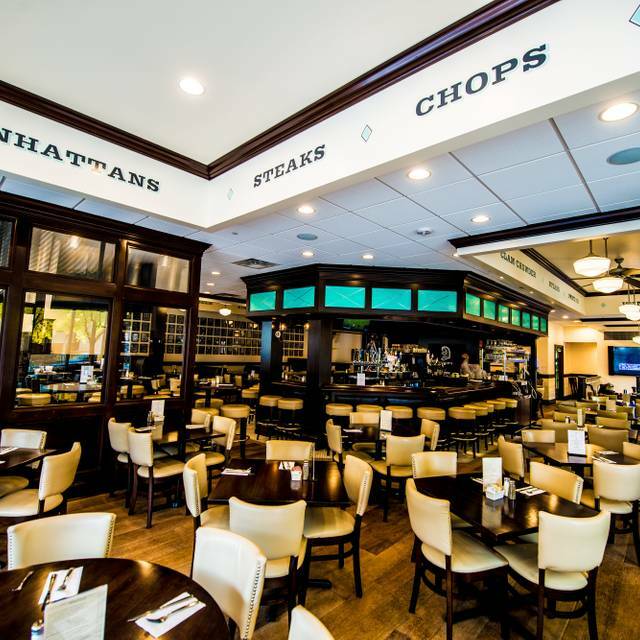 As a traditional steakhouse, our steaks, prime rib, chicken, burgers and seafood are a main focus of our menu. However, we are equally proud of our other menu choices, including an assortment of salads, sandwiches, and pastas. We famously pour the strongest drink in town! We also offer a wide selection of draft and bottled beers, and an extensive wine list. Each day we strive to improve our customers’ experience by providing quality food, drinks and service at an affordable price! Knights is legendary and a great restaurant for any day and any occasion! On this visit I had one of their many fine bourbons, the fried brussel sprouts, the asparagus, a filet and a salad. Everything was amazing, great service, great taste, great ambiance, and great value! No trip to Ann Arbor is complete without at least one trip to Knights. You will want reservations as the wait can be very long if you don't have them. Food was delicious, but waitress seemed disinterested in our table and it took reminding her many times to get simple things like bread or plates. I got the feeling that the waiter didn’t care about our table because we had 4 kids with us that weren’t drinking. Almost as if he felt that there were tables where the bills would be bigger, so he focused his attention elsewhere. I had scheduled this in advance and indicated there would be 9 of us and wanted window in front. I totally understand due to reservation it may if not been possible. We were at at a small round table connected to a square 4 top, which was for a total of 6 people but was cramped into a 9 top. Love Knights! Great service with super friendly staff —and awesome food. Great service (Katie, Michael), great food, great drinks. Had 4 for a birthday celebration. Matt was an outstanding waiter. Noise was good. Food was great, the blue chops, prime rib and black bean hummus were fantastic. Nice wine selection. Heather is a great waitress. Everything was great except the french fires were soggy! Always a great place to eat! Personal, good food and drinks and reasonably priced! Amazing staff! Steak was great. Sea bass was terrible. Worse I have ever had. Good food and drink made better by great service! Katie was simply outstanding. Knights js always a great experience. I am convinced that they only make 1 of each dessert on their menu every day, because they’ve “just run out” practically every time I try to order something. Constantly building up and destroying my sweet tooth dreams loses them a star. Great steaks, good ambiance, nice location. 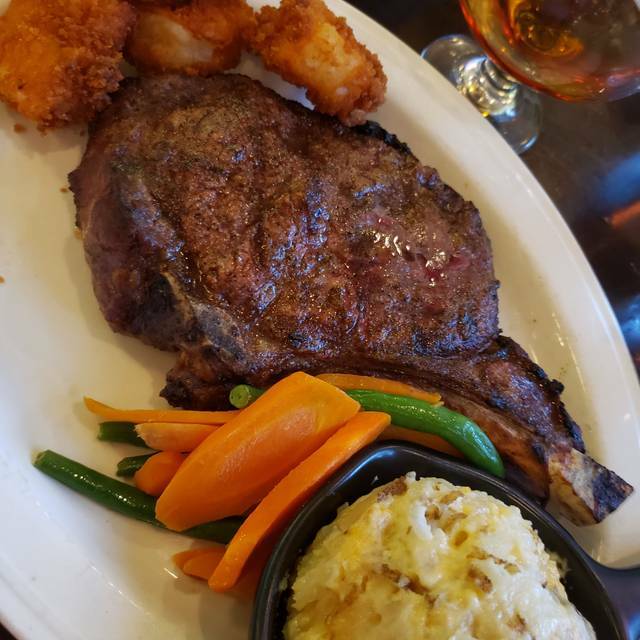 I had the prime rib with an gratin potatoes, it was great! One of our favorites while visiting our son at school. Have never had a meal that wasn't great. Excellent tag team service. Look forward to the specials offered. One of my favorite restaurants. A bit loud but the food and service was good. The restaurant is in a great location, our table was ready when we walked in, our waitress was knowledgeable and friendly, the food was good - there is nothing to complain about. A great overall experience which was aided by our waitress, Katie Emery, who was extremely attentive to our needs and very knowledgeable about the menu and wine choices. This was a Birthday dinner for my girlfriend. We have been to the original location several times and I was super excited to take her to the downtown location. The service was pretty good considering the time of day, the food was not on par with what we have become to love about Knights Steakhose. Her steak came to the table and I’ve seen meatballs larger then that. We really enjoyed Knight's Steakhouse. It was a little pricey but the food was very good. Enjoyed the atmosphere. We were there during the college's spring break so some menu items were not available but we had plenty of items to choose from. Really enjoyed the Mahi Mahi special. Overall, a good meal and a nice evening. Always great food and service. Best pour in Ann Arbor. The waitress Katie (with a K) is always great! 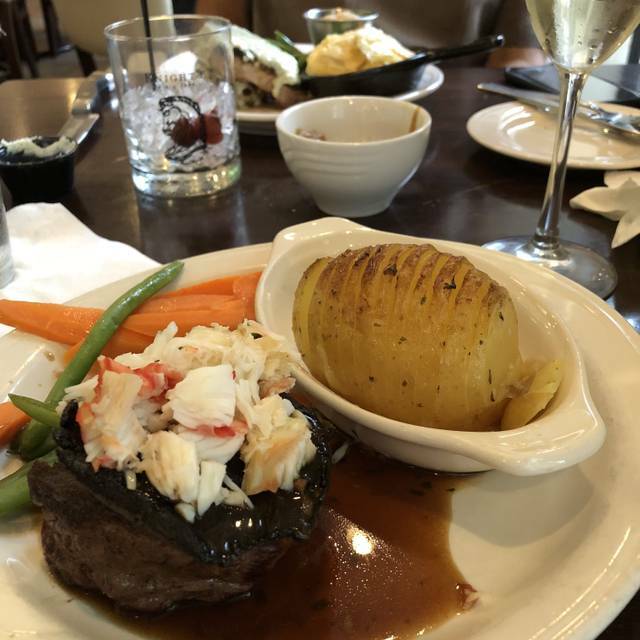 Knight's is the perfect location to have an incredible meal and enjoy a being in downtown Ann Arbor. 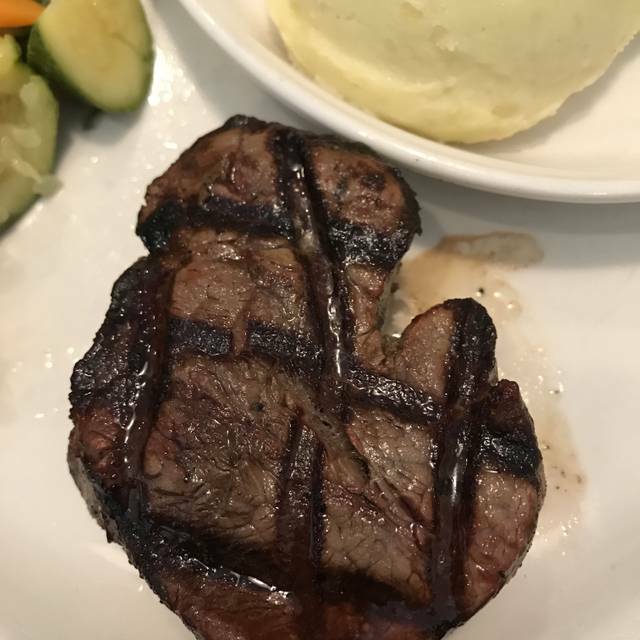 If you are a steak fan, go to Knight's. There were 4 hostesses just standing there when we walk in and none of them offered to help with our coats. They just stared at us while we tried to hand them up on cheap wire hangers that could barely hold our heavy winter coats. They kept falling off. I was very happy with our experience. If I had to list one thing that didn't go perfect its that I didn't get my birthday cake. I reserved in advance, and I even called to confirm that they knew it was my birthday, but for whatever reason, they didn't do the bday cake for me. Other than that, I was happy with it. The steaks were great and the drinks were strong! Always an amazing experience at Knight’s. This visit I had the opportunity to try the giant lobster tail they had left over from a private party. It was absolutely delicious!! Great atmosphere! Perfect drinks and outstanding service! 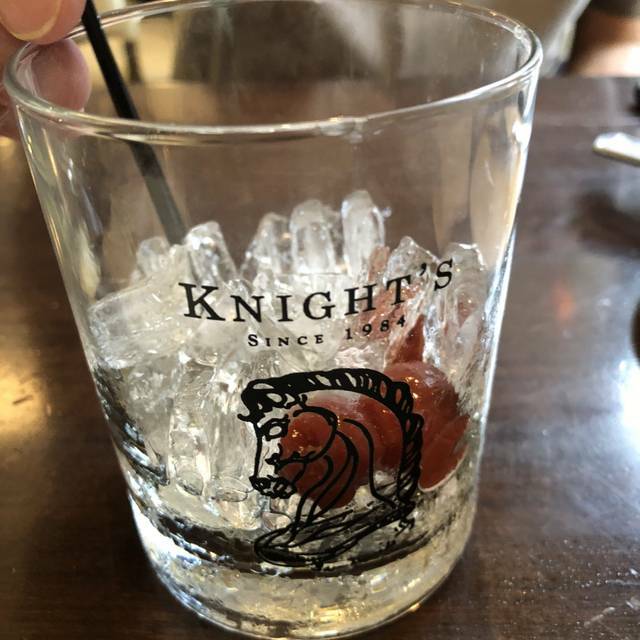 Knight's Steakhouse is a fun, casual place to enjoy drinks and a good meal. The menu has a lot of options and prices are a decent value. We had the lobster dip, which is very flavorful, but could have used a lot more lobster for the price. My boyfriend had the bone-in ribeye and he really enjoyed it- but it a bit under-seasoned. I had the salmon special, which was also very good. We had the Knight and Day pie for dessert, which was delicious and had nice chocolate texture and flavor- unfortunately, they ran out of the choices we really wanted, which speaks to the popularity of their desserts. Service was a bit inconsistent. We went for long stretches with no contact from our server, particularly in between salad and main course. Good service and good food in A2 atmosphere. Good skirt steak. The service and food were great for celebrating our anniversary! Sat right away, excellent service and delicious meal! Always LOVE Knights Downtown !! I have never been disappointed when dining at Knight's. The server was attentive and she had us on our way in plenty of time to catch the sing along at the Michigan Theater. Excellent food. Service not what it should have been; I believe based on the fact I was not having alcohol although my husband was. The servers attitude completely changed when I ordered a non alcoholic beverage. The steak was delicious! We were seated by the window with a wonderful view of downtown Ann Arbor and the Michigan Theater. Our waitress was very attentive and helpful choosing our wine selection, and even custom made our dessert for us to share. Could not have been more pleased with my experience, it was well worth the price of dinner! We come two Knights a couple times a year to celebrate and we love it! Always get the same thing. Just a bit disappointed that we requested a booth and our favorite server and didn't have either, although the restaurant was super busy, even for a Saturday night.